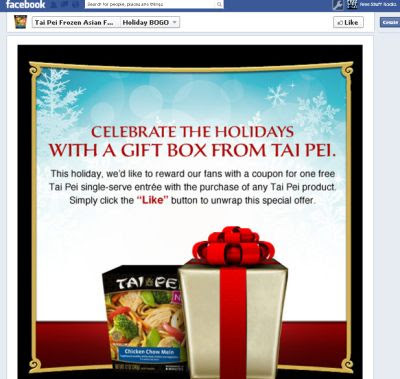 Celebrate the holidays with a gift box from Tai Pei. This holiday, we'd like to reward our fans with a coupon for one free Tai Pei single serve entree with the purchase of any Ti Pei product. Simply click the "like" button to unwrap this special offer!